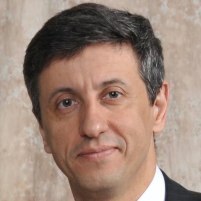 Maurizio Mancini is a leader in the quality and process industries with a sixth sense for Agile, quality, and business process. He is best known for cutting through the noise and getting to the heart of any organizational problem whether that problem consists of choosing the right software development process, implementing modern quality approaches, or just finding the right balance between people, process and tools. Maurizio has been building teams for more than 20 years and is known for building highly effective and dedicated teams. Maurizio’s approach consists of empowering people and teams so that the team's talent and creativity comes through naturally. This mindset favors the adoption of Agile values in any environment. 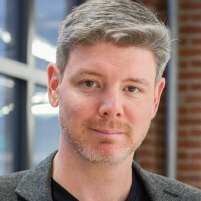 He is co-founder of Exempio Inc., an Atlassian Partner and Quality Expert firm in Montreal. On the surface, this company was nailing agile: 22 teams delivering software on a 2-week release train with some teams actually executing both Continuous Integration (CI) and Continuous Delivery (CD) processes. However, a major question still lingered: Were teams shipping features that delivered enough value to the business? Come learn how one company rebooted their Agile organization in just 100 days by tweaking agile and portfolio practices and the configuration and usage of their tools. The 100-day ride isn’t for the faint of heart but proves it's possible to re-focus an agile organization to maximize ROI. Although self-organizing teams are crucial to carrying out a successful Agile transformation, organizations that implement Agile at scale invariably realize that the introduction of such teams forces the organization to re-engineer numerous aspects of its operating philosophy. In particular, various management layers are often removed. The individuals in these layers are routinely re-purposed or laid off. This talk highlights the approaches I used as an Agilist in various organizations to help people in different roles on their journey of transitioning into the world of Agile. Specifically, the talk will focus on 5 key roles: Project Managers, Product Managers, BA Managers, Development Managers, and QA Managers. It will provide insight into how managers can effectively transition to some of the new Agile roles, or redefine their existing role to effectively fit in an Agile world. The emphasis in this talk is on pragmatic strategies for managers that are struggling to find their place in this new Agile world. Armed with these strategies, participants will be able to effectively adapt to the Agile transformation, as well as discover potential new career paths for themselves and for the individuals reporting to them. According to the 11th annual State of Agile report by VersionOne, one of the top five reasons for adopting Agile is to “enhance software quality”. In spite of this aspiration, a common pattern in Agile rollouts is the failure to set quality goal improvements from the outset. It is often assumed that if you implement Agile/Scrum then quality will just take care of itself. As many organizations quickly discover, you cannot just “deploy Agile” and expect it to be the silver bullet for a software organizations’ quality issues. Why is this happening so frequently? Is it due to methodical deficiencies, unrealistic expectations, fundamental misunderstanding of Agile, lack of executive support, too much existing technical debt or all of the above? If you are questioning whether your Agile rollout is really helping you deliver higher quality software, faster, then this talk is a must to attend. I will discuss the approach I have successfully used in a number of organizations which involves; identifying the necessary building blocks to establish a quality mindset in an organization, moving the organization to a test first mindset, helping the Product Management organization become more Agile, and finally setting the right level of test automation so that you can deliver quality software faster. If you are serious about doing Agility at scale, you cannot realistically achieve that goal without ensuring that each team individually delivers quality, and in-turn whole projects/programs that incorporate outputs from the individual teams are delivering quality software. To successfully scale quality, you will need to follow the ‘blueprint’ provided in this presentation. According to the 11th annual State of Agile report by VersionOne, one of the top five reasons for adopting Agile is to “enhance software quality”. In spite of this aspiration, a common pattern in Agile roll outs is the failure to set quality goal improvements from the outset. It is often assumed that if you implement Agile/Scrum then quality will just take care of itself. As many organizations quickly discover, you cannot just “deploy Agile” and expect it to be the silver bullet for a software organizations’ quality issues. Why is this happening so frequently? Is it due to methodical deficiencies, unrealistic expectations, fundamental misunderstanding of Agile, lack of executive support, too much existing technical debt or all of the above? If you are questioning whether your Agile roll out is really helping you deliver higher quality software, faster, then this talk is a must to attend. I will discuss the approach I have successfully used in a number of organizations which involves; identifying the necessary building blocks to establish a quality mindset in an organization, moving the organization to a test first mindset, helping the Product Management organization become more Agile, and finally setting the right level of test automation so that you can deliver quality software faster.